The retro styled Mini Convertible has been a huge hit thanks to its cheeky personality, fun handling and desirable image. The first ‘new’ Mini Convertible for sale was back in 2004 and while old and new versions look much the same there are considerable differences under the skin. The biggest visual change is that the roll hoops were dropped down behind the rear seats instead of standing proud. This makes a big improvement to rear visibility – the Mini’s weak point (at least with the roof raised). 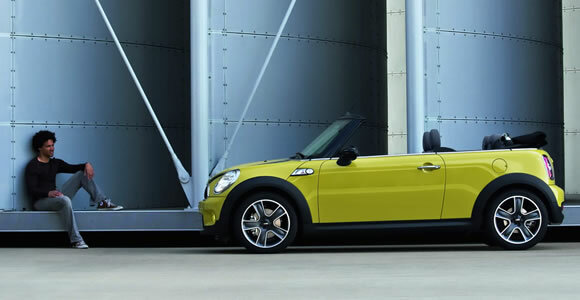 In 2012 the four-seater Mini Convertible will be joined by the sporty two-seater Mini Roadster. A stunning Mini roadster concept is to be shown at the prestigious 2014 Concorso d’Eleganza Villa d’Este event. The design created by a collaboration of MINI and Touring Superleggera combines classic sports car looks with modern details.